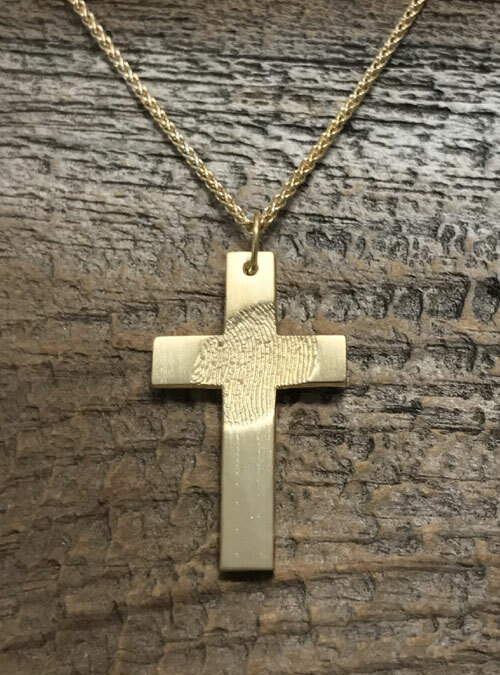 Forever capture your loved one’s touch in this cross pendant you can wear close to your heart. 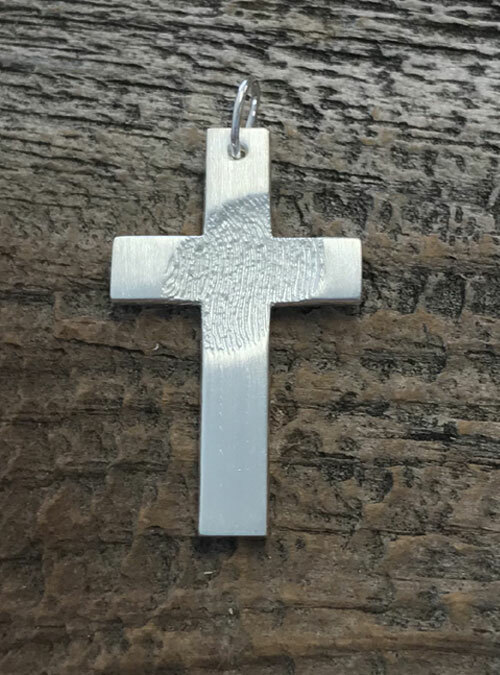 Size of fingerprint on the cross is relative to the finger size. Unisex. Cross measures 30 mm in length and 18 mm in width. 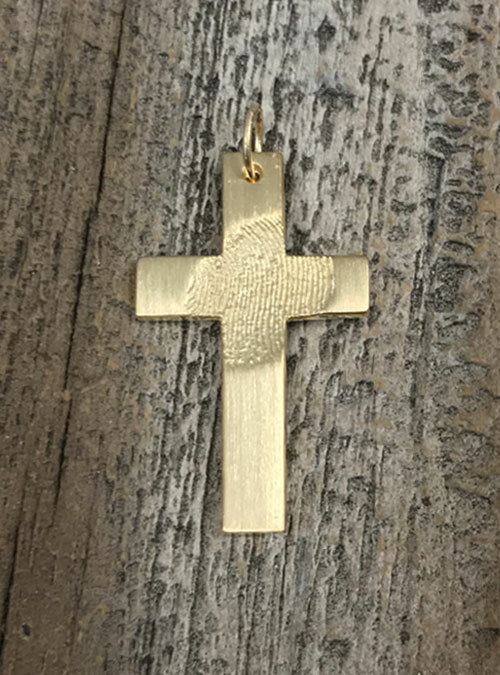 Forever capture your loved one’s touch in high definition on a cross pendant. Cross measures 30 mm in length and 18 mm in width. 1. Upload an image of ink fingerprints using ‘Upload a File’. It needs to be high res (600dpi). Yes, we can work from digitally scanned fingerprints provided by funeral homes. Unisex. Fits chains that are 2.9 mm in diameter. Cross measures 30 mm in length and 18 mm in width.